Rose was 19 when we saw her – she had an expanding tumour of the mandible. She underwent an operation in July 2009 – the tumour was excised and replaced with a fibula free flap. 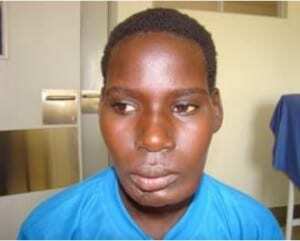 This patient came from the East of Uganda and was unable to raise any money for her operation. She had a benign tumour and therefore a potentially curable condition. 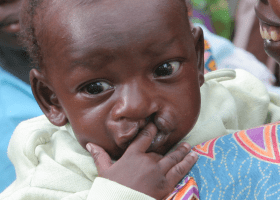 Without this operation this tumour would have continued to expand and reach huge proportions and eventually cause inability to eat or breathe, not to mention the cosmetic deformity. 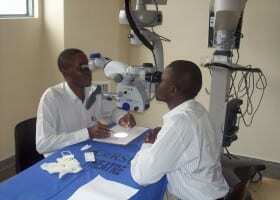 As she was unable to pay for her operaton, the Interface grant enabled her to undergo surgery. She has since returned to her home in the East. For more photos, click here, but there are some surgical photos, which some may make some people feel squeamish.